Whether you are starting up a catering business, already operate a food premises such as a cafe, restaurant, hotel or mobile unit we can provide specialist food and general safety advice. 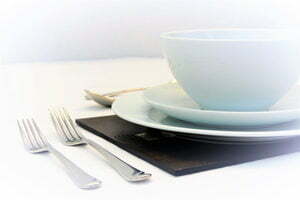 Why do hospitality and catering businesses choose us? Acorn Health & Safety works with a wide variety of organisations of all sizes from a small pizzeria to an award winning shabby chic country house hotel group. We provide training for staff members working across the food production and service spectrum including chefs, kitchen staff, cleaners, bar staff, food service staff as well as for owner / managers. How do we keep staff, clients and organisations safe with our practical health and safety consultancy solution? From as little as £100 a month our 'Hassle Free' retained consultancy service provides a bespoke health and safety solution specific to your needs and the needs of your organisation. Our trainers and consultants have a robust understanding of both regulatory and Local Authority requirements and guidance. Working with you we will deliver the advice, documentation and training you need to comply with the law and meet Local Authority and Food Standards Agency (FSA) requirements. By improving staff competence and confidence, our advice, support and guidance can help you provide high quality food that is safe to eat and reduce your food wastage costs. How do we keep staff, clients and organisations safe with practical health and safety training solutions?